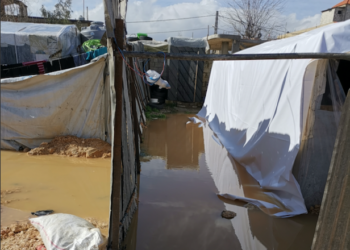 In Bar Elias, one of the refugee settlements in the Beqaa Valley in eastern Lebanon, the storms exacerbated the overflowing of the Litani River, the country’s biggest and longest river. The river – sometimes called “Death River” – is polluted and blocked due to unfiltered waste from factories and dumped sewage. 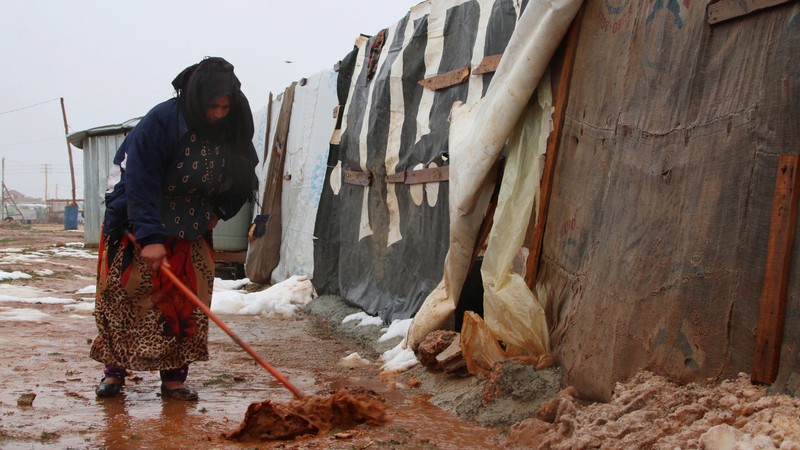 The river overflows every winter, causing the nearby refugee camps to flood too. In the immediate aftermath, it was local NGOs rather than the large international aid agencies that deployed assistance with impressive efficiency considering their scarce resources. Numerous volunteers helped, willing to use their days off to help the affected Syrian refugees. As one of us is a volunteer on the ground supporting the local NGO Syrian Eyes, as well as both of us being part of a vast network of activists, we were able to talk to the people who were present during the storms and involved in the aftermath. Indeed, parts of the informal settlements soon found themselves completely under water and had to be evacuated. The first immediate response taken by different local NGOs was to open their centers and prepare them as emergency shelters. One such NGO, Sawa for Development and Aid, “opened its six centers and prepared them to host people who had to be evacuated from the flooded camps,” said Mashal Hamood, the NGO’s operations manager. Local NGOs face challenges with their small budgets and no access to information or records, and U.N. agencies only work through international NGOs who are in charge of the refugees’ records. Due to the lack of communication during storm Norma, this information was not available on the first day of the extreme weather. “The families’ data is only shared with [international] NGOs, which are U.N. partners,” said Anas Tello, a volunteer with Women Now for Development. 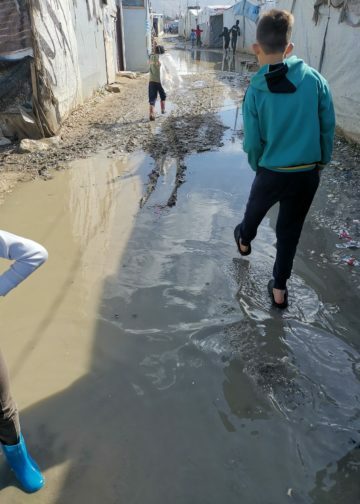 “We faced issues to react quickly as the camps are random and we have no records about all the settlement locations or the number of families in each camp. The only way to help was by opening our centers.” Many of the settlements are informal. Families rent land where they set up their tents. After the first storm, the U.N. refugee agency sent text messages to refugees, sometimes in English only, warning them about a second expected storm and asking them to prepare by putting on heavy clothes and protecting their valuables and documents by placing them above ground. Local NGO workers and volunteers explained that the struggle will not end when the storm is over. There will be a huge need for preparing tents for the people to get back to and try to manage again after losing their belongings in the storm. New waterproof plastic sheeting to cover the shelters would help, and there is a need to raise the floor level under and around the tents by casting a thin layer of concrete. However, the Lebanese government has restricted how much the tents can be raised. Finally, medical support was slow to arrive when the crisis peaked. 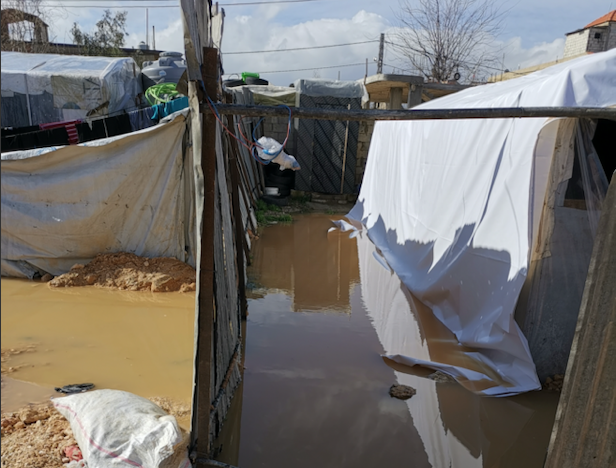 Whether in Lebanon or elsewhere, local NGOs with meager resources, capacities, and employees often act as first responders and share refugee struggles first-hand. To justify the far greater support U.N. agencies and international NGOs enjoy, they need to increase their ability to reply to emergency calls on the very first day of crises like storms Norma and Miriam. They should coordinate with and support the local NGOs that are already at the site. Otherwise, the deteriorating situation of Syrian refugees in Lebanon will continue as an endless cycle that during every winter season reaches a peak of emergency. Sana Kikhia is a Syrian activist, humanitarian worker, and researcher living in London. She is co-founder and Executive Director of Sanad Group for Aid and Development in Syria, a voluntary group offering zero-interest loans to internally displaced persons inside Syria. She holds an MSc. in Global Project Management. 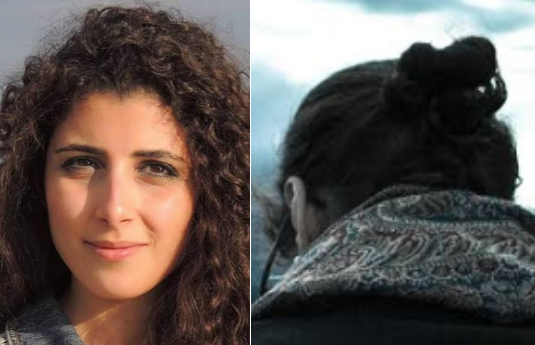 Dara Foi’Elle (pseudonym due to political work) is a Syrian diaspora activist and blogger based in Beirut, Lebanon. She currently works for the Syrian League for Citizenship. Dara was present during the crisis in Beqaa Valley and volunteered with Syrian Eyes, a local NGO active in several settlements. She holds an LLM in International Criminal Justice and Armed Conflict.